Custom stamped tags are incredibly durable. A stamp indents or presses the design into the metal material. The recessed design means the tags will be ready to withstand wear and tear. This allows stamped metal tags to be used in industrial applications across the world. One of the best features of stamping tags is their level of durability. The information is pressed into the metal material itself. Since there is no ink or paint, there’s nothing to be scratched off or fade. Stamped characters hold up in all weather conditions. They are rated for 20+ years outdoors. This includes surviving in rough work environments. The metal tags are used in every location you can imagine: construction sites, manufacturing plants, oil refineries, shipyards, and more. 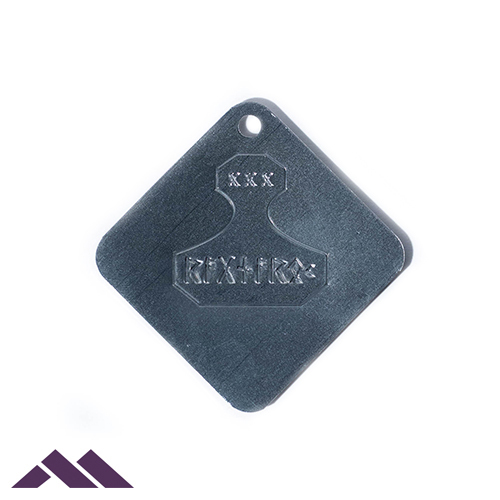 Truly custom identification means you can have your tags made exactly the way you want them. This includes custom sizes, shapes, and thicknesses. Need round corners? Multiple holes? Special shapes with a logo? There’s almost no limit to the variety. Stamped tags are best suited for constant or serialized data. 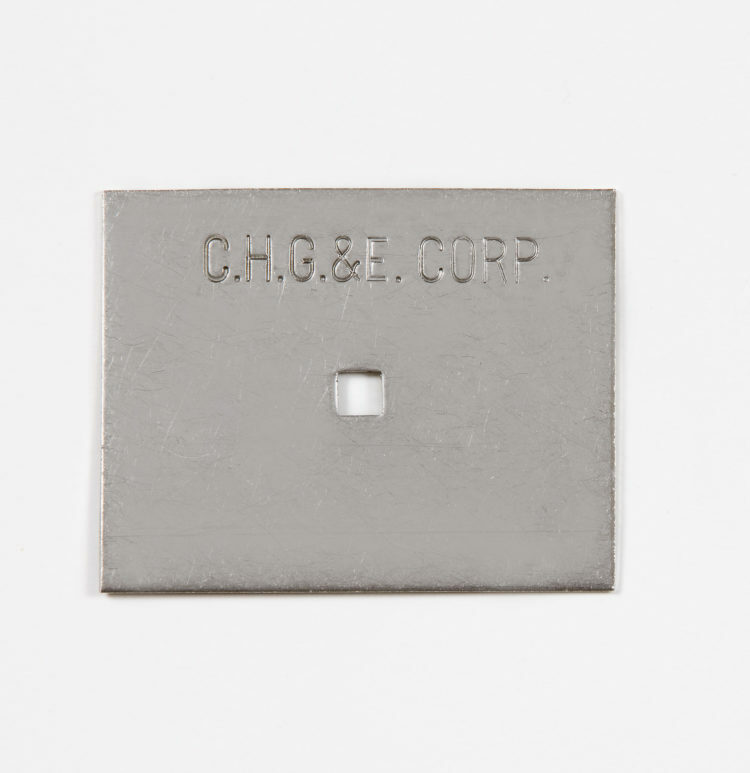 Creating many tags or nameplates with the same design is ideal for stamping. Only one stamp has to be made, saving you time and money on the production cost. Serialized (numbered) data works great for asset tagging or numbering items. Consecutive numbers do not require a stamp to be made for each, making them cost effective as well. At Metal Marker, we have the capability to manufacture custom stamps for your tag or nameplate production. This means your tags are able to feature any design. For example: a company logo or special font. Plus, our stamps are of the highest quality, which allows for crisp, clear indentations. With our high quality standards, your stamp will only need to be made once. You won’t have to keep buying new stamps (as long as your information remains the same.) In addition, you’ll see no difference in quality between your first 1,000 tags or your last 100,000. Our knowledgeable customer service representatives are waiting to help you find the perfect solution tailored to your needs. They are ready to answer any questions you may have and get you started on your identification solution.